Home | Giveaway: Win Big Paper Flowers for Decor! Giveaway: Win Big Paper Flowers for Decor! Hi, lovelies! A new week, a new giveaway! 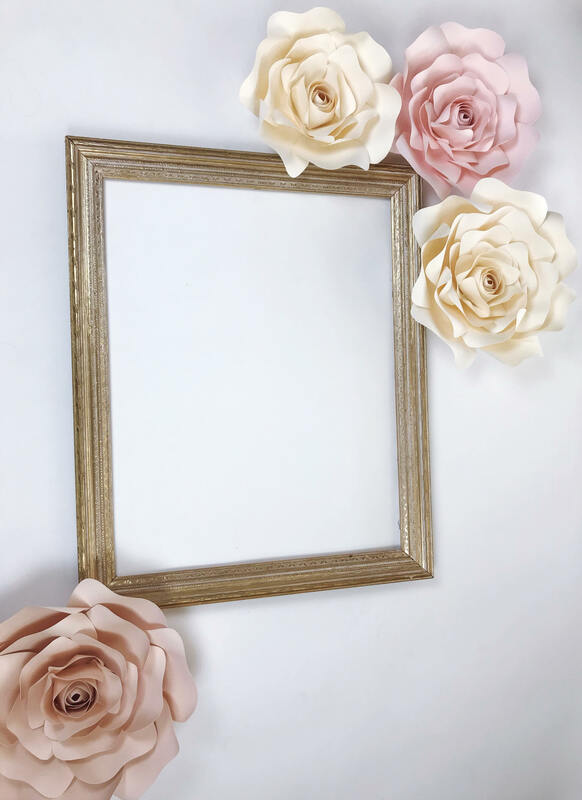 We’ve teamed up with Natalie of PaperFlora to give away four big paper flowers in pale pink and ivory with gold leaves. 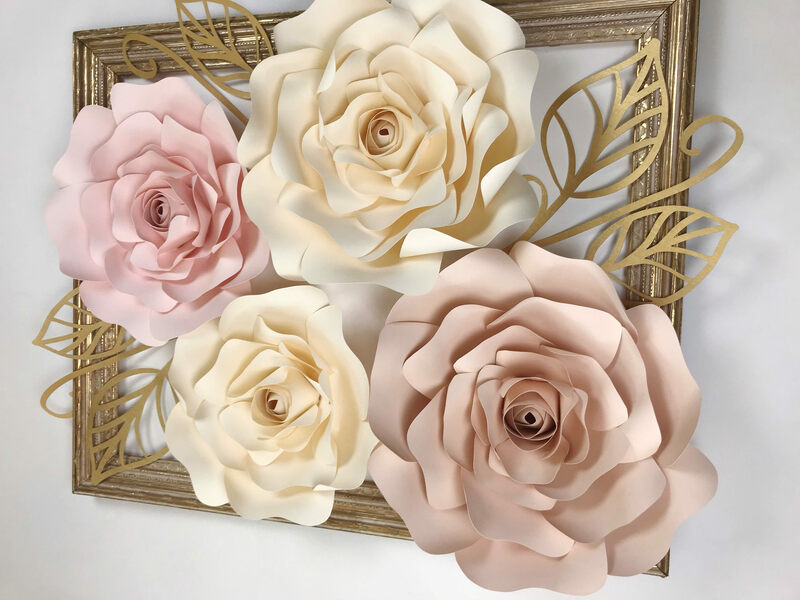 These paper flowers are great for wedding decor and can be used to accentuate a wall, your cake table, your reception dinner chairs — anything you wish! See the flowers and enter for your chance to win below. Good luck! Here are pictures of the big paper flowers being custom-made for the winner. 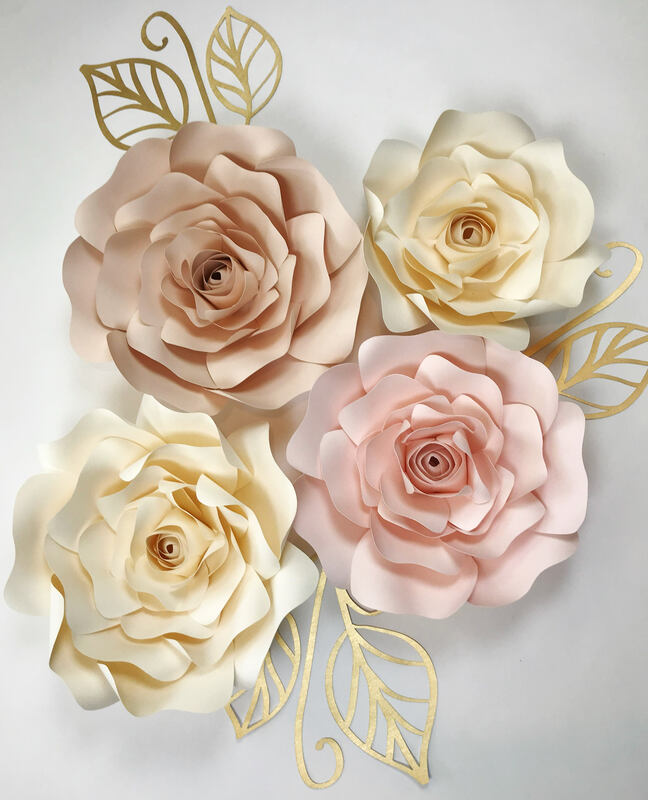 These paper flowers are handcrafted in two shades of pink and feature gold on the leaves. Aren’t they gorgeous? These large pink paper flowers work well as backdrops for weddings or events (like your bridal shower!) 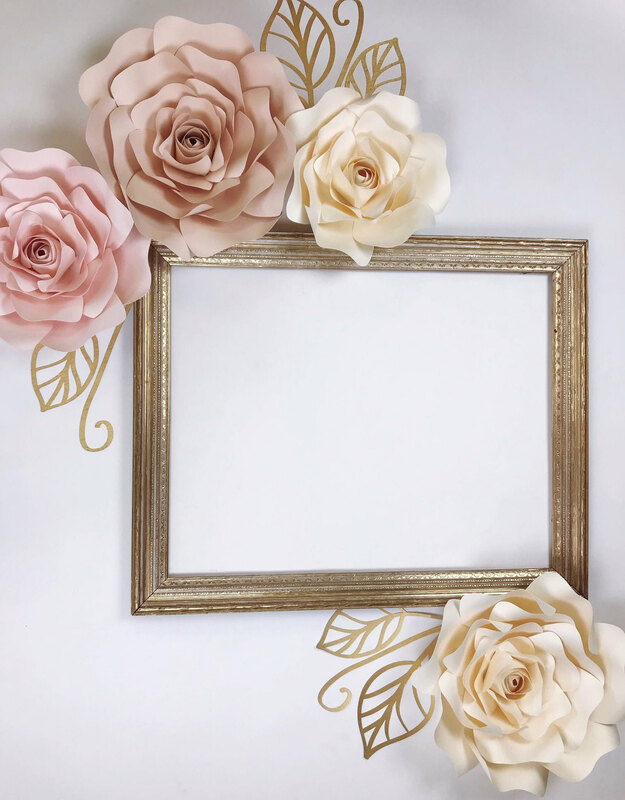 You’ll love re-purposing them as wall decor in your home after your big day. These big paper flowers are sized large (12″-13″) and extra large (14″-15″) in size. Winner will receive two large and two extra large flowers. Enter for your chance to win below! o Giveaway prize: win four big paper flowers by PaperFlora! Colors shown above. o To enter, you must follow on Instagram and like three posts; you must also visit PaperFlora on Etsy and like two of your favorite items. Details on the entry form, found below. RELATED: HOLLY JOLLY GIVEAWAY: #12 -- Beer Holster! HOLLY JOLLY GIVEAWAY: #7 — Lace Bridal Robe!